One of my favorite things in life has been to travel the world and learn. Every day is the most incredible learning experience. Earlier this year I went to Peru and heard a wonderful story about the Inca people who lived between 1400 AD to 1532 AD, when the Spaniards came in and conquered their nation of more than 10 million people. Our guide told us that when the Incas would conquer a group of people, they did not kill them off. They would learn everything they could and then they would share it with their own people, enlightening their whole nation with what they had learned. I decided that would be my goal that wherever I travelled I would glean ideas from everyone that I met, hence enriching my life. This past week I have been in the Northwest learning and enjoying the rich culture, food, and beauties of this wonderful part of our country. I would like to share my journey with you. 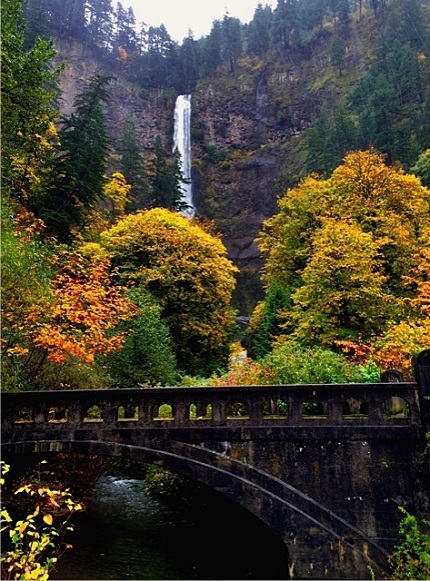 This is a photo of Multnomah Falls, which is on the Columbia River Gorge. 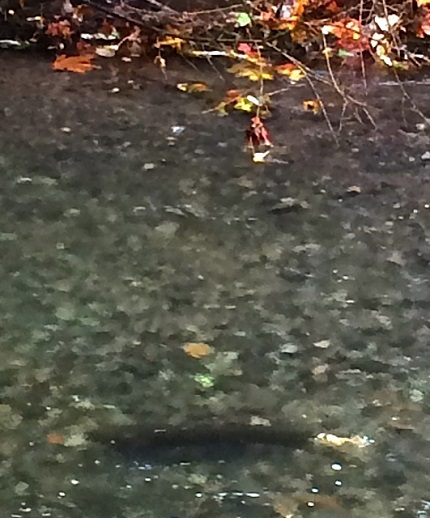 When I looked into the streams I could see salmon struggling to swim upstream. You will see a fish in the bottom of this photo. My friend told me that the fish were swimming up stream to spawn where they born and then they would die. 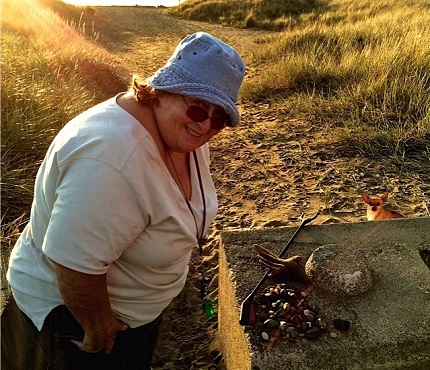 We met the most interesting lady coming back from walking on the beach. She unloaded her pocket of rocks and then began to tell us about the most interesting rocks she had gathered that day. 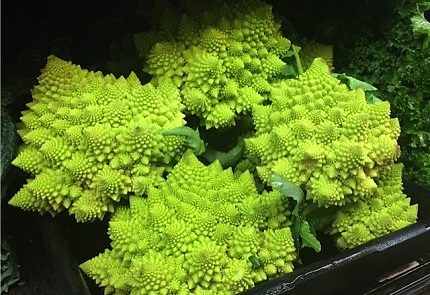 Here is an unusual vegetable that I found in a farmers’ co-op in Olympia, Washington. The label on it said that it was a type of broccoli. 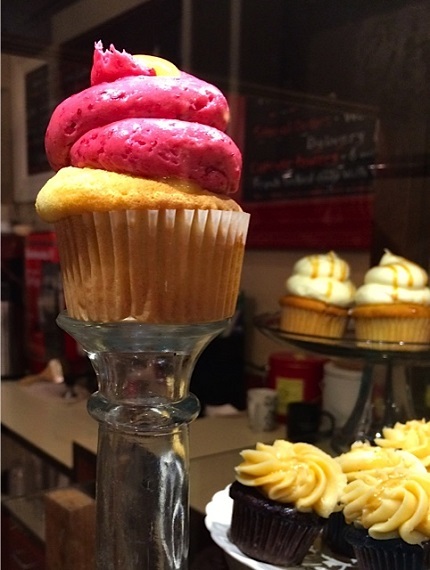 We found a cupcake store. We made a short stop to taste the specialty of this little shop. 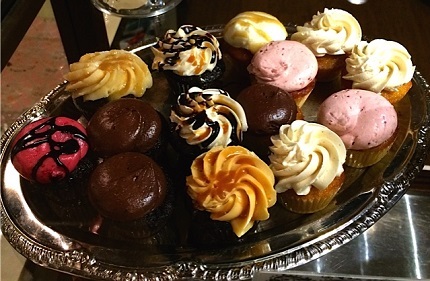 Mini cupcakes, which seemed to be what they were known for. One of the friends that I stayed with prepared a special meal for me. It was salmon with crab that she had caught. 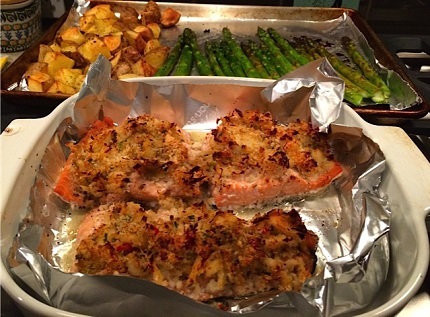 In the background are bake cubed potatoes and asparagus. Potatoes went in first for about 40 minutes, then the salmon and crab baked for 15 to 20 minutes, and the asparagus went in about 10 minutes before she took it all out. What a lovely oven dinner it was! 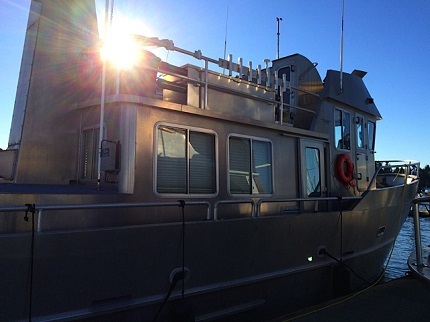 I stayed with another friend who went out boating all summer on a boat that her husband designed and built. That night we had fish that they had caught on the boat this summer. 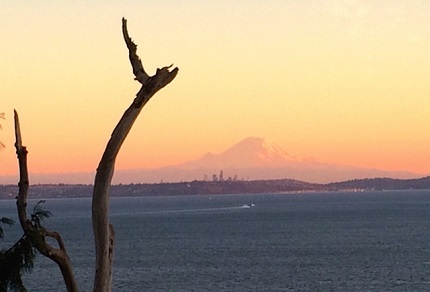 I had a breathtaking view of the Puget Sound, with Seattle in the distance and Mount Rainier in the far distance. I have learned so much as I experienced the beauties of this amazing place. I always want to travel and meet people from around the world. My life is so much richer from what I learn and all the wonderful experiences I have along the way.